How comprehensive is your global media monitoring? Home » IntegraWatch® Facts » How comprehensive is your global media monitoring? 561 is the number of individual news sites we monitor every day globally for stories about companies and individuals posing potential risks to your business. IntegraWatch® | Compliance Screening is a database that allows you to check the names of people and companies against a purpose-built database. It is updated daily and includes over 5m records spread across all industries and over 194 countries. To find out more about our IntegraWatch®, please visit www.integrawatch.com. If you have any enquiries, please contact info@redflaggroup.com. 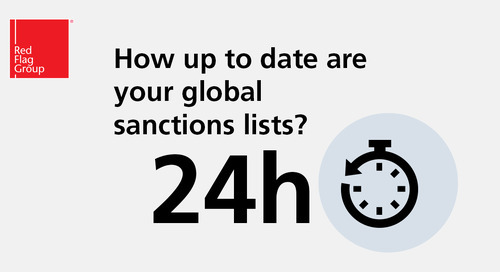 How up to date are your global sanctions lists? 24h is the frequency with which we conduct monitoring of all global news sites and global sanctions lists. How extensive is your Russian media monitoring? OFAC is easy. 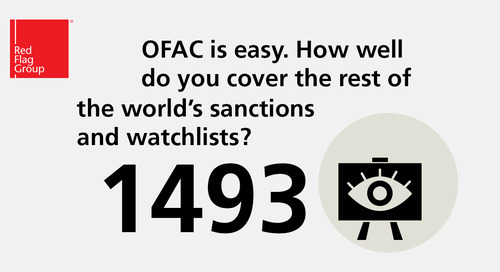 How well do you cover the rest of the world’s sanctions and watchlists? 1493 is the number of distinct global sanctions and watch lists included in IntegraWatch®. 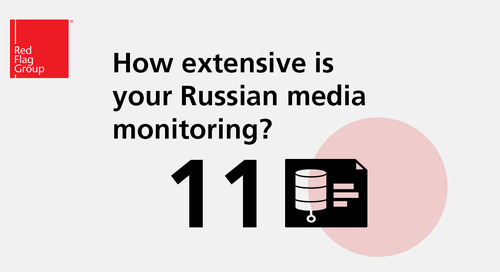 11 is the number of Russian news sites we monitor every day for stories about companies and individuals posing potential risks to your business. How well do you cover Eastern Europe? 8 is the number of Bulgarian news sites we monitor every day for stories about companies and individuals posing potential risks to your business. How comprehensive is your Turkey coverage? 136,266 is the number of Turkish companies and individuals profiled in our database representing a potential risk to their business partners. 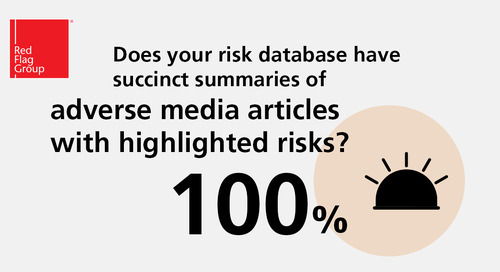 Does your risk database have succinct summaries of adverse media articles with highlighted risks? 100% is the number of companies and individuals profiled in our adverse media with an analyst authored and translated the summary of risk…not just a link to an article. 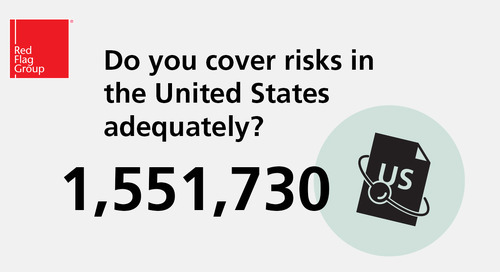 Do you cover risks in the United States adequately? 1,551,730 is the number of United States companies and individuals profiled in our database representing a potential risk to their business partners. How extensive is your Korean media monitoring? 8 is the number of Korean news sites we monitor every day for stories about companies and individuals posing potential risks to your business. 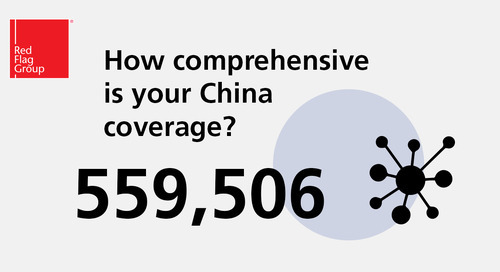 How comprehensive is your China coverage? 559,506 is the number of Chinese companies and individuals profiled in our database representing a potential risk to their business partners. How complete is your global media monitoring? How sure are you of your risk monitoring in global media? 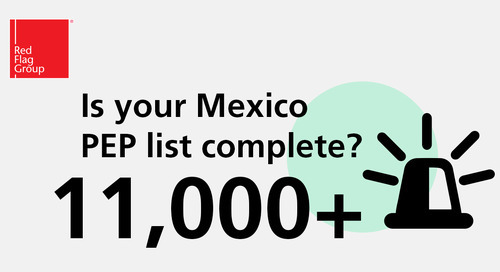 Is your Mexico PEP list complete? Are you covering all your risks with your database screening?